Vaughtons was founded in 1819 by Philip Vaughton. The company was originally named ‘P. Vaughton’ , working out of Little Hampton Street in the Jewellery Quarter, Birmingham. 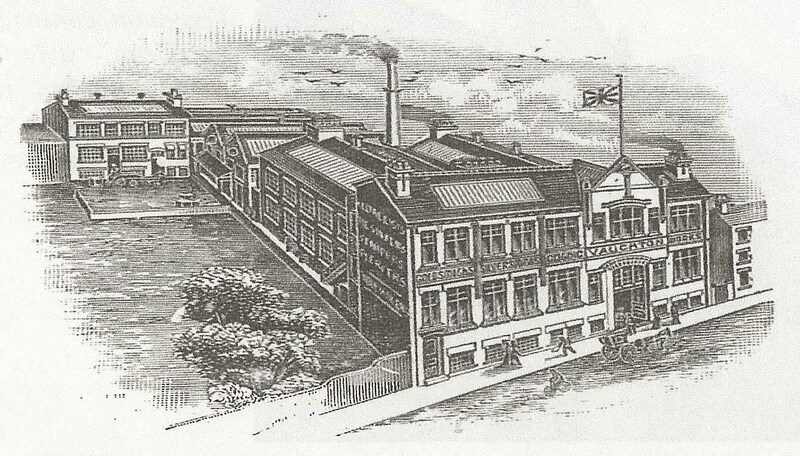 In 1897 the firm had been renamed to ‘Vaughton Brothers’ and had relocated to 135 Constitution Hill; the company was listed as a ‘Buttonmaker, Medalist and Mint’. Vaughtons Gothic Works. Picture taken from the 1906 catalogue. 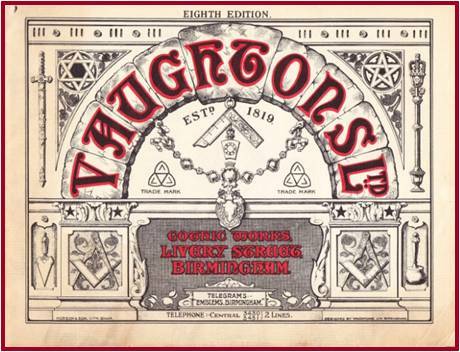 Between 1866 and 1902, Vaughtons were documented in various locations, then in 1903 Vaughtons relocated to an impressive purpose built factory, ‘Vaughtons Gothic Works’ on Livery Street in the Jewellery Quarter, which is still located there today. This building was noted in a Birmingham Civic Society newsletter, ‘To this day it is an impressive building… It has excellent terracotta details, especially the lettering’. 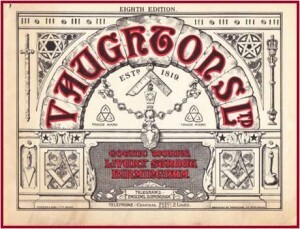 It was shortly after the move that the company name was changed to ‘Vaughtons Ltd’ detailed on brochures at this time. Vaughtons was listed as ‘the business of a Silversmith, Goldsmith and General Manufacturer’. Vaughtons success grew whilst in these premises, manufacturing some of the companies most prestigious work, such as the FA Cup and the 1908 Olympic medals. We believe that predominantly, a lot of these jobs were due to Howard Vaughton being involved in the business. Howard Vaughton, born 1st Septmeber 1861, was the grandson of the company’s founder, Philip Vaughton. Howard was a very famous footballer of his time, playing for Aston Villa, and for England. Howard was a part of the Aston Villa FA Cup winning team, and also still shares the record for the most goals scored by any one player in any England International game. 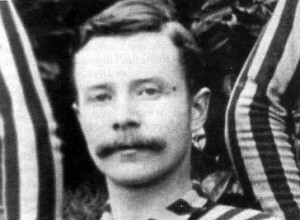 Howard was an impressive sportsman who also won the British Skating Championship, played county level cricket, county level hockey, raced in cycling and was a first class swimmer.